Do you love hot wings? 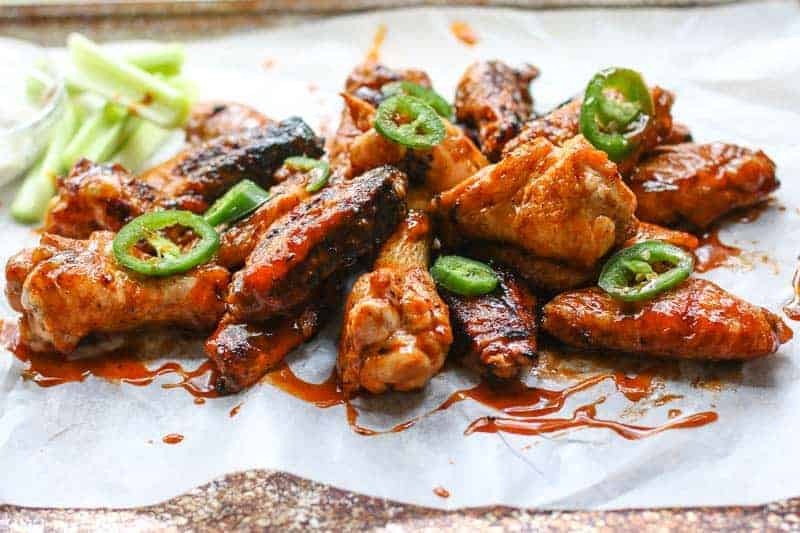 Then you will love this chicken wings recipe! These Grilled Buffalo Chicken Wings are the best chicken wings you will ever eat! 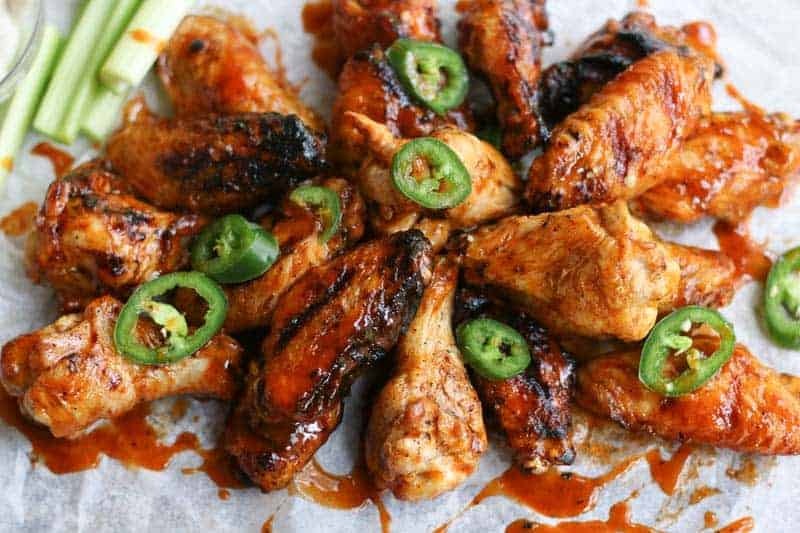 This is the best Grilled Buffalo Chicken Wings Recipe you will ever try. They are finger licking good and require little fuss! Most importantly, you can make them right at your home! I am a hot wing addict. I can eat them every day. I love them fried, battered, and/or grilled, but always, always spicy hot! Because I am trying to watch my figure, (key word trying), I have started only eating them grilled. That is no loss in my book. If they are made correctly, they actually taste better and aren’t dripping in that fatty grease. So why not make a healthy version? 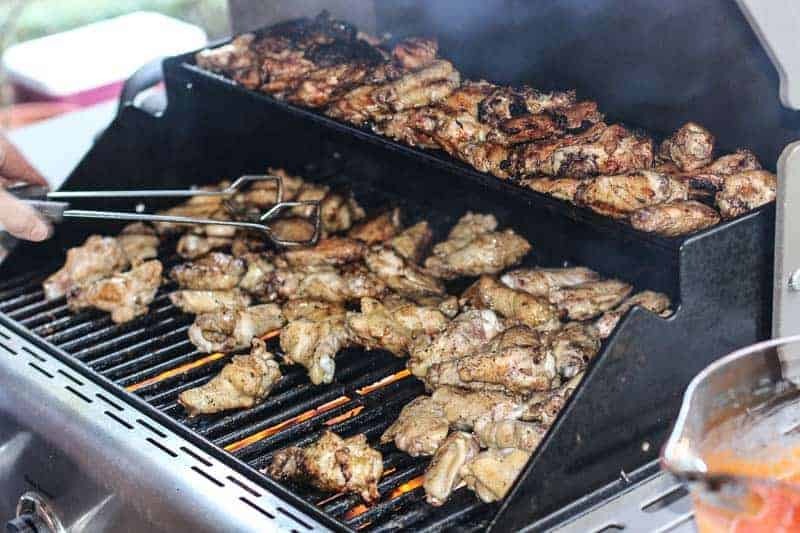 For this recipe, you will need fresh chicken wings (they cook and taste so much better than the frozen wings), a good grill, and my sauce… My sauce is so GOOD… And you can make it in 2 minutes!!! Easy, peasy right? To cut the wing, cut at the joint to separate into two pieces. Then cut off the wing tip at the other joint like pictured above. Discard the wing tip. Next, I salt and pepper them generously. They will go on the grill dry. You will cook them until almost done. Then you brush on your first round of sauce to coat them. Let the wings cook just a bit longer to allow the sauce do cook onto them. Once cooked, remove them from the grill. Next you toss them in a bowl with the remaining of the sauce to make sure they are perfectly covered and coated. Now what makes my sauce so good is it made of butter, hot sauce, tabasco sauce, apple cider vinegar, and honey! If you want to go hotter (I would but my friends and family can’t take any more heat) just add hot chili flakes. You can garnish with jalapeños for color and heat also. Oh! And the Grilled Buffalo Chicken Wings are fantastic dipped in my Homemade Chunky Blue Cheese Dressing; just saying! Hope you love them. Enjoy! This recipe is great for Super Bowl Food or your next cookout! If you like this recipe, check out: Easy Taco Dip, Plantain Nachos , and Banana Pudding Dip. 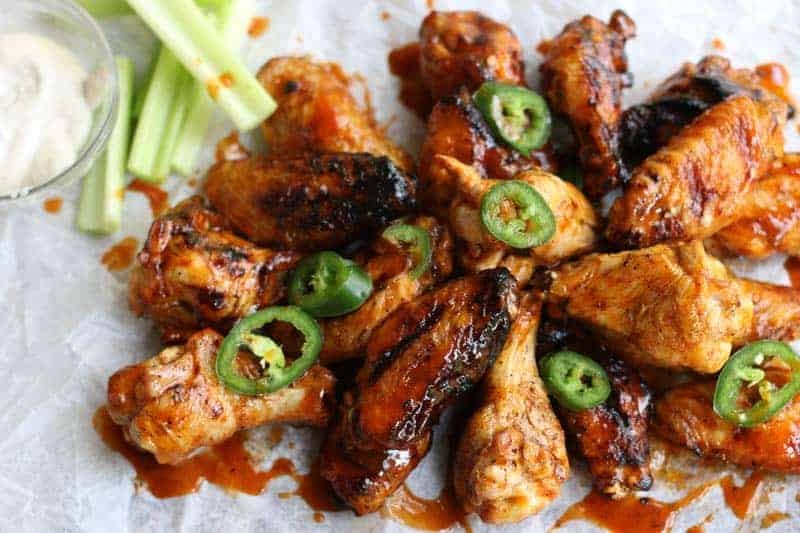 Looking for some other fun wing recipes? Check out these Crispy Asian Wings and Garlic “Butta” Hot Wings. They both look delicious! It would be fun to make a trio. 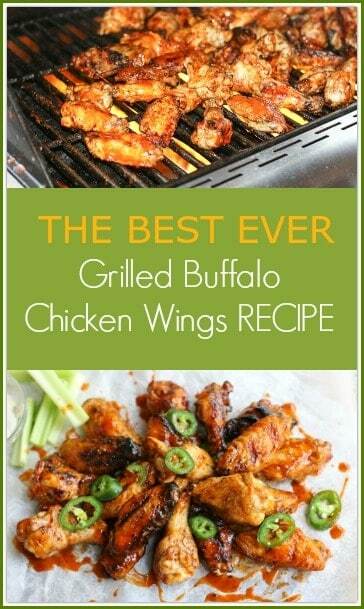 This is the best Grilled Buffalo Chicken Wings Recipe you will ever try. They are finger licking good & require little fuss! Cut the tips off the wings. Discard tips of the wings. 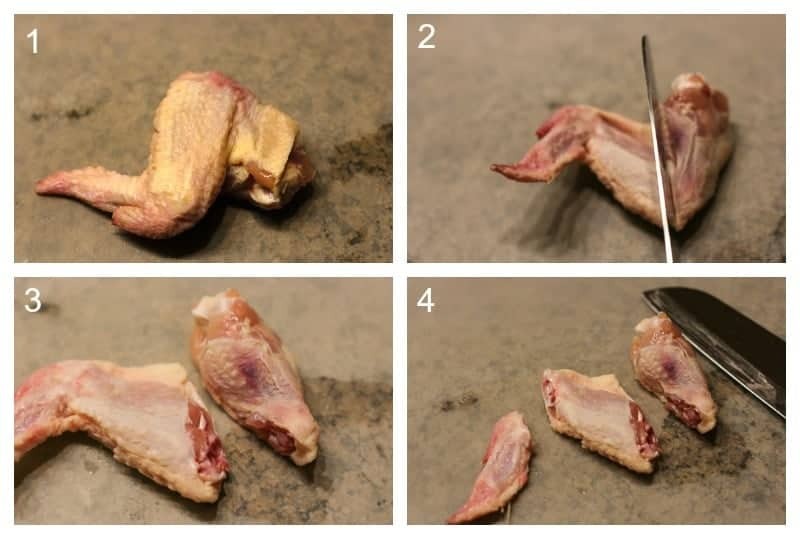 Then cut wings at joint into two pieces. Coat the wings in salt and pepper. Meanwhile, mix remaining ingredients in a pot and cook to a boil. When wings have about 5 minutes left of cooking, brush on the sauce and cover the wings well on both sides. 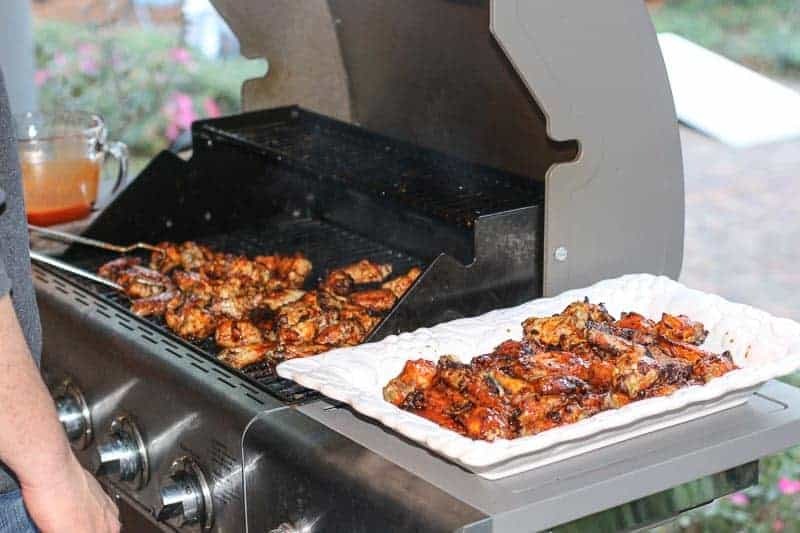 Grill until wings are finished. 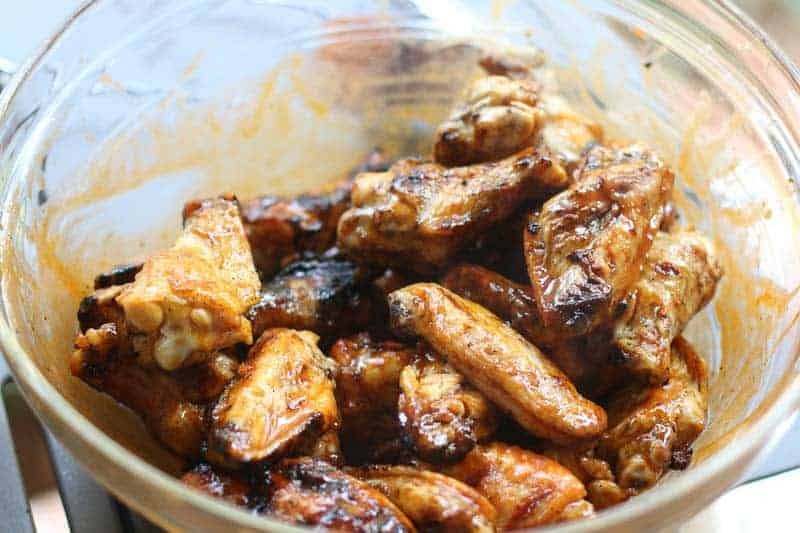 Toss wings in a bowl with remaining sauce and serve. Oh yum! 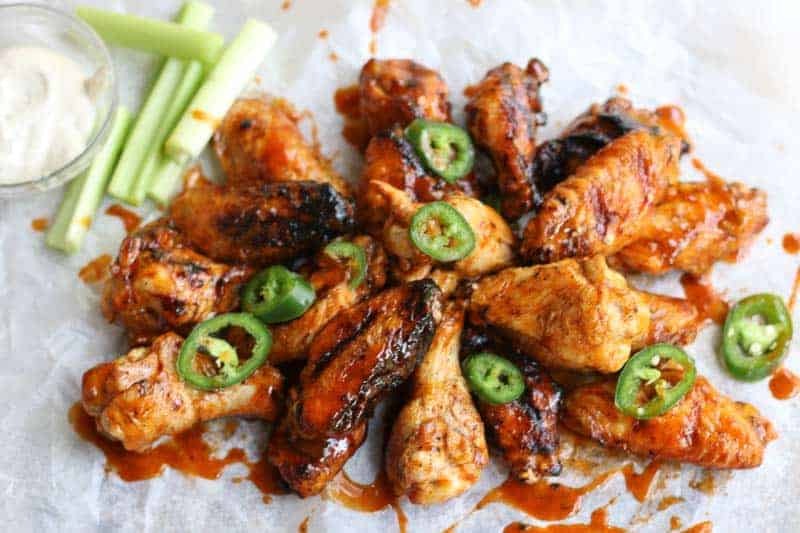 Love Buffalo Wings but never tried making them at home. Will have to try this! Okay, you’ve officially got me excited for football season!!! Now can you come over and cook up a huge batch of these for me?! These wings look so yummy!! Thanks for sharing the recipe! Chicken wings are great. These sound delicious. Perfect for parties too. You can never go wrong with wings. Those wings look pretty darned good. I appreciate the fact they’re grilled, too. That’s a lot of chicken wings! My family loves theses so much and I will be trying them for sure. I love the detailed photos and cooking tips. I’ve been dying to use my grill before the snow comes along…thanks so much for this! Great idea for football Sunday tomorrow! These wings look so good. Better than any restaurant!